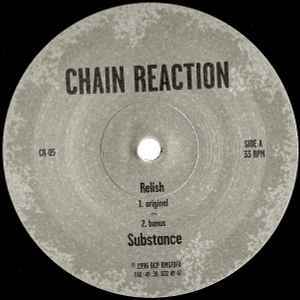 For Chain Reaction as a label, "Relish" is an interesting and inspiring release since the original with it's different versions sort of crossed over on a vast scope of styles. It was perfect for funked-up grinding techno sets, yet fitting for a slower house jam too, and has stood the test of time extremely well, still sounding fresh after 17 years. Legendary, and for a reason. This was the first CR release I bought which, at the time, opened up a whole new kind of world of music and inspired to use, manipulate and bend sets using the spacious soundscapes to build and breathe soul and texture into any well-thought set. It should be found in every techno enthusiasts' bag. I bought this over at Detroit Treads this Movement weekend in Detroit figured I didn't need it since I had the first one on Chain Reaction. Met these dudes at Movement and heard them play this live all manipulated and funked out, it was totally awesome. Its all about those loops, I think at one point they had loop 5 mixed in with some older ambientish vainqueur track which blew my mind, what a weekend.